In Part I of my series, I discussed the proposed SEC rule that was released for public comment last year around this time. The rule was widely regarded as onerous, and significant personal liability was placed upon those responsible for reporting mineral Resources and Reserves. In Part II, I discussed the requirements for “Competency.” And in Part III, I discussed the reporting of Resources “inclusive” or “exclusive” of mineral Reserves, depending upon which type of mineral is being reported on. The proposed SEC rule was never promulgated after the election of President Donald Trump. Many of us in the minerals industry breathed a collective sigh of relief, as the proposed rule was, in many ways, a departure from internationally accepted standards of practice. Though the proposed rule died and the SEC still operates under Industry Guide 7 (IG7), one should be interpreting IG7 in the context of those internationally accepted standards such as the CRIRSCO template, or templates of any of its members (i.e. SME, JORC, PERC, SAMREC, and so forth). In many reserve statements, often performed for industrial minerals and aggregates, I see large variances in the interpretation of Mineral Resources, prior to conversion of Resources into Reserves by way of a Feasibility Study or Pre-Feasibility Study (FS or PFS). So, the focus of this Part in my series is on the definition of Mineral Resource. A Mineral Resource is a concentration or occurrence of solid material of economic interest in or on the Earth’s crust in such form, grade or quality and quantity that there are reasonable prospects for eventual economic extraction. The location, quantity, grade or quality, continuity and other geological characteristics of a Mineral Resource are known, estimated or interpreted from specific geological evidence and knowledge, including sampling. There is no grade given to the resource to indicate if it is even a reasonable prospect to market. 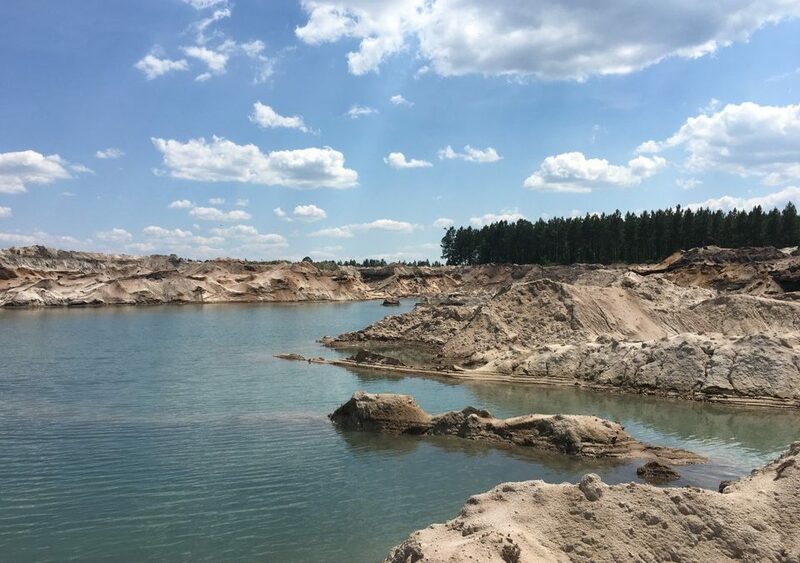 There is no consideration for property offsets, or the pit slope(s) at which the sand and gravel deposit could be extracted. Mining dimensions are not factored. There may not even be sufficient sampling to characterize the deposit, and an extraordinary assumption is that a neighboring deposit’s characteristics will be identical to the subject deposit. While many of the points above may seem like “Modifying Factors” that are used to convert Resources to Reserves, they are, in fact, those factors that are used to define the Resource: that part of a mineral occurrence that is a reasonable prospect for eventual economic extraction. Consider an underground room and pillar quarry. Often, the Resource is reported as the product of area and thickness within a property boundary. Reserves are then reported as the Resource, with mining height and extraction ratio applied as modifying factors (i.e. 25 ft mine height and 75% extraction). However, if a Mineral Resource is that part of a mineral occurrence that is a reasonable prospect for eventual economic extraction, is it reasonable that one would ever develop an underground quarry and NOT leave pillars to support the roof? No. The Mineral Resource then, by definition, “is not an inventory of all mineralization drilled or sampled, regardless of cut-off grade, likely mining dimensions, location, or continuity; rather it is a realistic estimate of a mineralization which, under assumed and justifiable technical and economic conditions might become economically extractable.” (2014 SME Guide). Further to the definition of a Mineral Resource, those public entities that report Reserves in accordance with IG7 must recognize that IG7 does not allow for reporting of Mineral Resources. This is a basic premise for updating IG7, which has not had a revision since 1982, when it was first written.